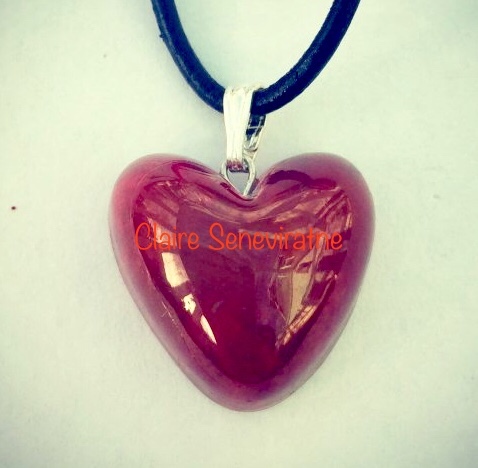 Claire Seneviratne - Ceramic Artist: Small red heart pendant. This red heart pendant is made of porcelain and has had a dark red metallic lustre fired onto it in the second firing. The height and width is approximately 2cm.